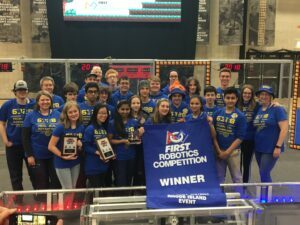 Mechanical Advantage FRC 6328 is open to student team members who are willing to work hard and commit to being the best they can be. We accept students ages 13-18 (grades 8-12) from any school/community in the area. We are a community-based team and not tied to a particular school or town. The season starts the first week of January, when that year’s game is released with all the details of the rules and specifications. 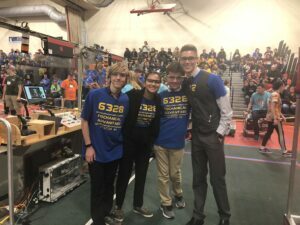 The team has 6 1/2 weeks to build a robot to compete in the game and complete award applications, which is a huge task. 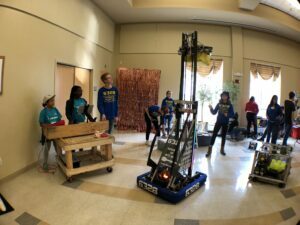 Once the build is complete, the team competes in two New England district events over two weekends in March. 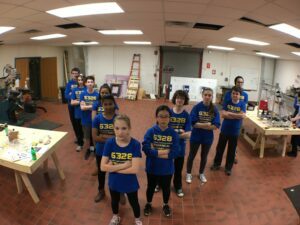 Based on the results of those competitions, the team can be invited to compete at the New England Championships in early April and the World Championships held in Detroit MI in late April. 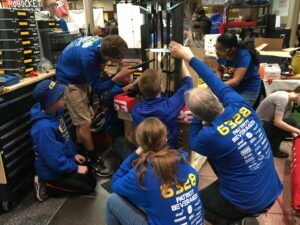 Through build and competition season, the team will have work hours every evening during the week and both days on the weekends. Students are not expected to be at all work hours. The time commitment for an individual student will depend on what sub-team(s) the student is part of, their personal schedule and availability, and their leadership role on the team. “Teams are built in the off season!” While things do quiet down during the off season, the team is still working hard. This is the time we focus on outreach, fundraising, training, organizing, and everything else that needs to happen so we can hit the ground running in January. Check out our 2018 recap video from the off season competition, River Rage! Interested in learning more? 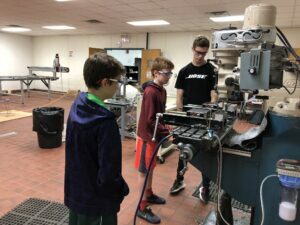 Reach out to info@littletonrobotics.org.